This year iVenture Accelerator’s twelve new teams are receiving stipends, seed funding, access to advisors & networking events, co-working space, and… a mega-motivated cohort of peers. Each new iVenture 3 team walked in on day one with just as much passion and focus as the next. The iVenture admissions committee strategically built a diverse cohort of students with complementary skill sets and different perspectives to ensure quick progress over the next year towards social, cultural and technological innovation across industries. As much as the teams are learning from mentors, advisors and the iVenture staff this year, they are also learning from themselves. With this awesome new group of humans, our kickoff bonding day went pretty much as we expected: great! Highlights below, bright futures to come. After a group bike ride to Research Park, Associate Director Laura Bleill introduced students to the resources afforded to them at EntrepriseWorks. The group stopped by the labs of Petronics and iVenture 2 alumni Cast 21. Another group bike ride took the teams to downtown Urbana for collaborative adventure games at CU Adventures in Time & Space and LabEscape. The task was simple: save the world—a goal our teams are already striving towards with their ventures. In the world of adventure games, they succeeded. In the real world, they’re on their way! The day ended with the Startups Social at Sipyard cohosted by CUSBDC. Local entrepreneurs, city officials, co-working space providers and business support specialists from C-U’s entrepreneurship ecosystem mingled with our teams and celebrated the area’s passion for innovation. Free pizza, good beer, great fun. 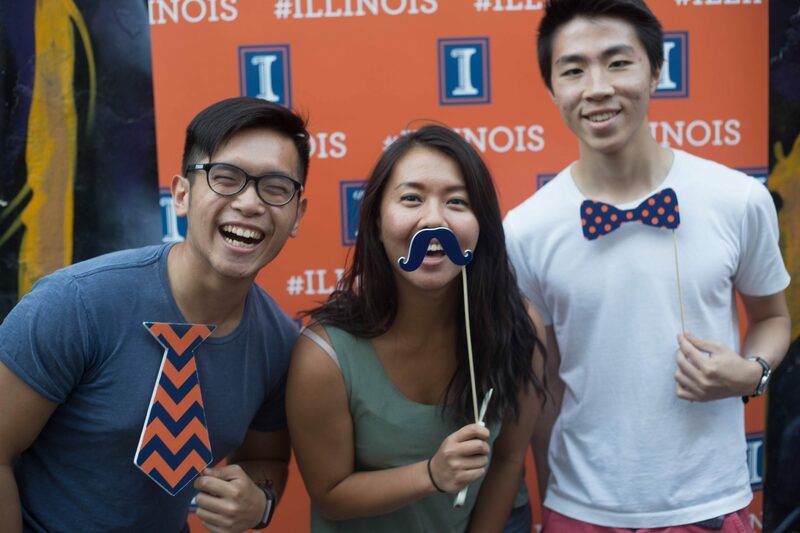 To engage with our new cohort, email Lead Coordinator Ryan Singh at Singh60@illinois.edu to schedule a tour of the iVenture space or to offer your time as an advisor or mentor. Follow iVenture Accelerator on Facebook & Twitter and sign up for our newsletter here. Applications for iVenture 4 (2018-2019) now open!